President Trump’s first 100 days in office included several controversial executive orders and policy changes that impact law enforcement at the state and local level. This article points to the importance of technical changes receiving less coverage but which may have a far more sweeping impact. According to NBC News, during his campaign President Trump pledged to take immigration actions ranging from deporting all unauthorized immigrants (June 16, 2015), deporting up to 1.9 million immigrants with criminal records in his first week in office (August 27, 2016) or being open to providing a pathway to citizenship for some unauthorized immigrants (September 6, 2016). 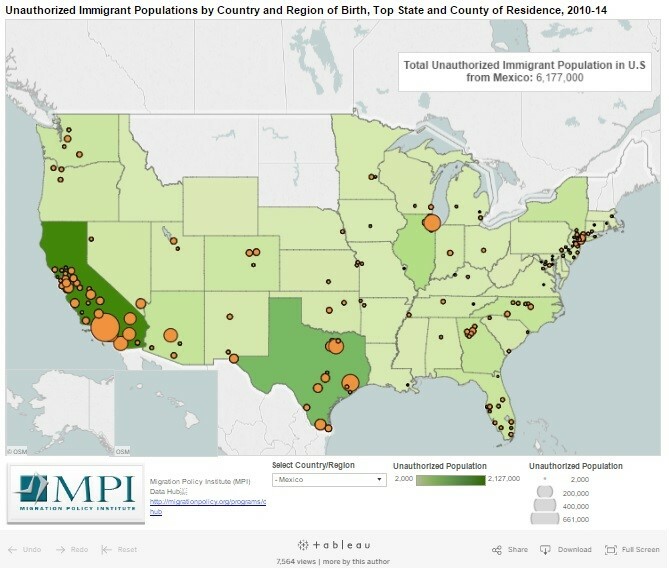 As Trump took the oath of office in January, the air of uncertainty over what policies he would actually pursue no doubt caused a sense of fear and foreboding for millions of immigrants, their families and friends – including the unauthorized immigrants most vulnerable to policy changes (see map from MPI for the estimated number of unauthorized immigrant individuals in your state). A travel ban impacting seven majority Muslim countries (the number was reduced to six in the second iteration of the executive order after federal judges placed implementation of the ban on hold pending legal challenges; the second version is also currently enjoined until appeals are heard in May by two different circuits). A call for local and state governments to enter into section 287(g) agreements which allows law enforcement agents of those governments to be trained than then function as immigration enforcement officers. Directive to withhold federal funds from localities that prohibit the provision of information to the Department of Homeland Security regarding individual’s immigration status (currently enjoined by a federal judge from taking effect). Expansion of the definition of “criminal” for immigration purposes – White House rhetoric, including Trump’s own comments, often focus on a need to remove criminals “that have murdered people, raped people.” But Trump’s executive order expanded the definition of “criminal” – and hence the focus of enforcement efforts – to include all those who crossed the U.S. border without authorization (unless they have a form of temporary protected status like DACA) and any person who has “committed acts that constitute a chargeable criminal offense.” The potential effect is to expand those targeted for deportation from approximately 820,000 persons with criminal records under Obama era directives to a much larger portion of the estimated 12 million undocumented immigrants. Expansion of the use of expedited removal (ER) – According to this 2005 brief from the Congressional Research Service, ER was created by Congress in 1996. Originally used only for persons at a port of entry (think airport or established border crossing), ER allows an immigration officer to remove the individual without any hearings or review. (The lone exception is for someone who expresses a fear of persecution if they are deported.) After September 11, ER was expanded to include those detained by immigration officials within 100 miles of the border who could not affirmatively prove physical presence for more than 14 days. Trump’s January executive order approved the use of ER for the entire interior and for persons who could not affirmatively prove physical presence in the U.S. for more than 2 years. Taken together with pressure on local law enforcement to partner with immigration agents, the expansiveness of these policies is hard to wrap the mind around – could a local law enforcement agent pull someone over for intoxicated driving, determine they have committed a chargeable offense and that they can’t demonstrate being in the U.S. for more than two years and hence place them in expedited removal proceedings? More importantly, what might that do to the willingness of immigrant communities to trust local law enforcement? These broad unknowns may be a significant reason for the resistance by some local law enforcement officials to any substantive level of partnership with federal immigration enforcement is understandable. The impacts on thousands of lives have already started — reports out in the final week of April noted a more than 50 percent increase in the number of detentions of immigrants without criminal records in the interior of the country during the first quarter of 2017. Author: Grant Rissler is a Ph.D. candidate in Public Policy and Administration at the L. Douglas Wilder School of Government and Public Affairs, Virginia Commonwealth University (VCU). A former immigration paralegal, his current research focus is local government responsiveness to immigrants. He also serves as Asst. Director for Programs for the Commonwealth Educational Policy Institute at VCU. Grant can be reached at [email protected]. Interesting article and thank you for sharing. What would you call someone that cross the border illegally? Do you think it’s a criminal act? What about our laws – do you believe in the enforcement of our laws? And lastly, do you think it’s a “best practice” for our law enforcement agencies to work collaboratively together for the welfare of the American public? I don’t understand your argument because it comes across as you being mad because our law enforcement agencies are doing their job, and the administration is supporting them. Recommended thesis statement: American’s are more secure because our law enforcement agencies are finally doing their jobs.